Precipitation is one of the important climatic indicators in the global climate system. Probable changes in monsoonal (June, July, August and September; hereafter JJAS) mean precipitation in the Himalayan region for three different greenhouse gas emission scenarios (i.e. representative concentration pathways or RCPs) and two future time slices (near and far) are estimated from a set of regional climate simulations performed under Coordinated Regional Climate Downscaling Experiment-South Asia (CORDEX-SA) project. 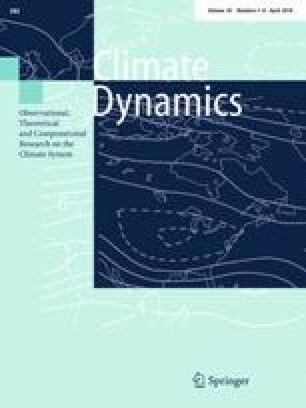 For each of the CORDEX-SA simulations and their ensemble, projections of near future (2020–2049) and far future (2070–2099) precipitation climatology with respect to corresponding present climate (1970–2005) over Himalayan region are presented. The variability existing over each of the future time slices is compared with the present climate variability to determine the future changes in inter annual fluctuations of monsoonal mean precipitation. The long-term (1970–2099) trend (mm/day/year) of monsoonal mean precipitation spatially distributed as well as averaged over Himalayan region is analyzed to detect any change across twenty-first century as well as to assess model uncertainty in simulating the precipitation changes over this period. The altitudinal distribution of difference in trend of future precipitation from present climate existing over each of the time slices is also studied to understand any elevation dependency of change in precipitation pattern. Except for a part of the Hindu-Kush area in western Himalayan region which shows drier condition, the CORDEX-SA experiments project in general wetter/drier conditions in near future for western/eastern Himalayan region, a scenario which gets further intensified in far future. Although, a gradually increasing precipitation trend is seen throughout the twenty-first century in carbon intensive scenarios, the distribution of trend with elevation presents a very complex picture with lower elevations showing a greater trend in far-future under RCP8.5 when compared with higher elevations. The online version of this article (doi: 10.1007/s00382-017-3789-4) contains supplementary material, which is available to authorized users. This work is partially funded by the junior research fellowship provided to A. Choudhary by University Grants Commission, India. The authors thank the World Climate Research Program’s Working Group on Regional Climate, the Working Group on Coupled Modelling which formerly coordinated CORDEX. Authors are grateful to the climate modeling groups (listed in Table 1) for producing and making available their model output. The authors also thank the Earth System Grid Federation (ESGF) infrastructure and the Climate Data Portal at Center for Climate Change Research (CCCR), Indian Institute of Tropical Meteorology, India for provision of CORDEX-SA data. Also, we thank Ministry of the Environment, Japan for APHRODITE water resources project, supported by the Environment Research and Technology Development Fund. The authors are grateful to two anonymous reviewers for making important comments and suggestions in improving the manuscript. Computational and graphical analyses presented in this study are done with the softwares CDO and GrADS on a LINUX platform. Authors thank support of MoEF&CC under NMHS program.